There is nothing nicer than an Italian antipasti on a hot summer’s day. It’s simple, can be prepared in advanced and is a great lunch to have with friends. I always make the vegetable antipasti the night before so all the flavours blend together over night. It is hard to source good quality veg in Ireland but I think Lidl are definitley the best for veg at the moment and I always buy my aubergines and courgettes there, they have a good selection of Italian meats and mozzarella too. Superquinn stock everything you need also and have the Rovagnati range of meats which are still my favourite pre-packed meats. We have a really good buffalo mozzarella for anyone living in Limerick from the south of Italy and is definitely the best I have tasted in Ireland. The whole point of antipasti is the quality of ingredients so try and get your hands on the best you can, this includes using good sea salt and olive oil. Finding good tomatoes is always the biggest issue in Ireland, Superquinn do very good Italian cherry tomatoes but it’s very hard to find a sweet beef tomato, I got these large plum tomatoes in Lidl and although they weren’t fantastic they were the best I could find. 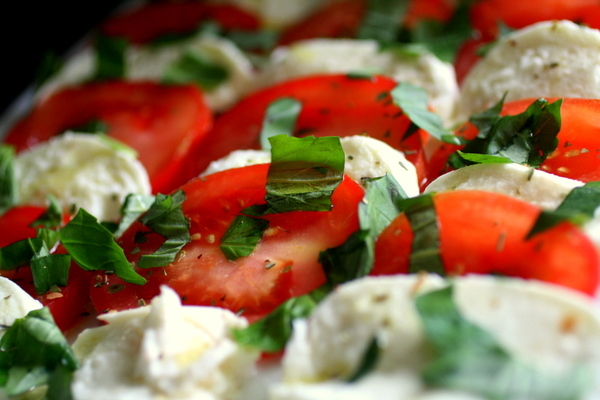 First up is Caprese, probably the simplest and tasiest salad you can make. Just slice some mozzarella, tomato, season with sea salt, pepper and a little dried oregano. Drizzle with olive oil and serve with plenty of basil. 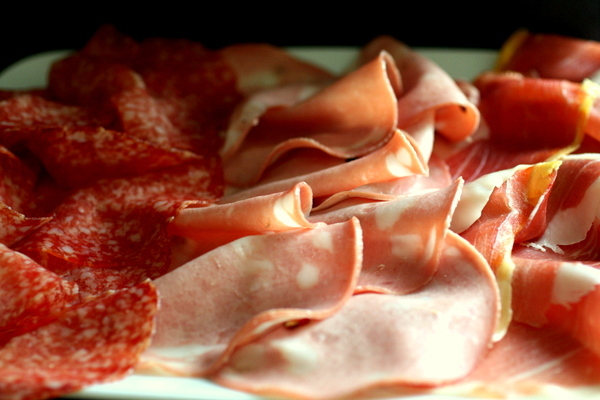 serve a platter of parma ham, mortadella and salami…. Marinated courgettes! 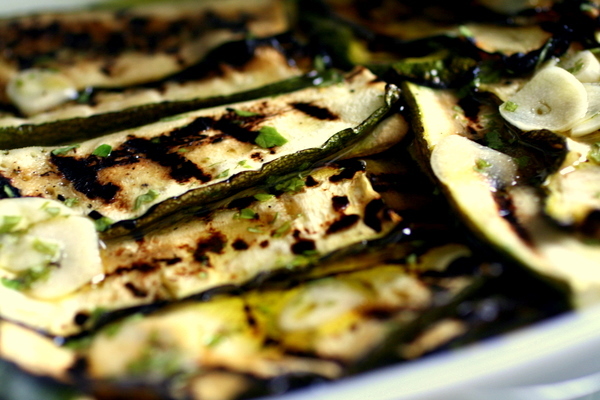 cut your courgette into slices and cook on a heated grill pan or bbq. Leave to cool. In a bowl mix some olive oil, white wine vinegar, thinly sliced garlic, flat leaf parsley, sea salt, black pepper and olive oil. Layer your courgettes, season and pour some of your dressing over each layer. Leave to marinate over night. Marinated aubergines! Slice your aubergines into disks, sprinkle with salt and leave in a colander for about 30 mins to release the bitter juices. Heat a grill pan or bbq and cook in batches. 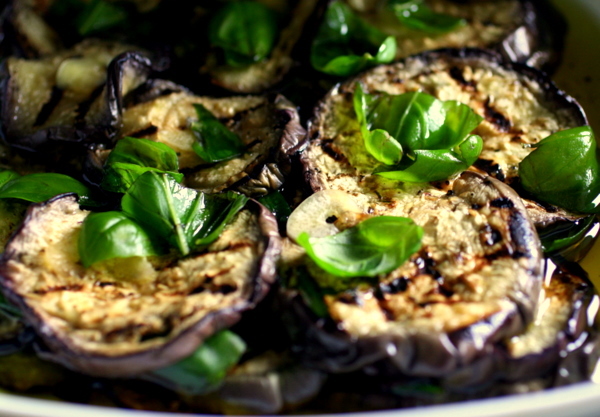 Layer your aubergines, season, drizzle each layer with olive oil, add sliced garlic and basil leaves. Leave to marinate over night. Lovely! If you’ve got great ingredients then they really don’t require much in the way of preperation to taste good do they? Top tip on preparing the day before. Reminds me of the antipasti in the Piccola… now you’ve me hungry, must go get dinner. Where do you get your mozzarella? oooo yum yum yum. One of my fvourite things about italian food!! Grow your own tomatoes! It’s the only way to get completely fresh fruits with the best flavour – provided we have a good summer, and you look after them. Your garden looks like it could accommodate a good-sized greenhouse that could be inhabited by a good few tomato plants and herbs. I’ve got two plum tomato plants in a mini greenhouse that cost me £25, along with two sun gold tomato plants, plus four basil plants as well as other herbs. None of it was grown from seed this time but bought from a small local nursery – the plants are looked after better, and having been grown with non-intensive methods and occasionally exposed to less than ideal climatic conditions they are hardier than supermarket plants. I had some surprisingly good cherry tomatoes from Lidl this week – some of them had tiny traces of mould on, but I washed that off and the flavour of the fruits was excellent. In my local Lidl the tomatoes aren’t refridgerated, which is really good – refridgerated tomatoes seem to lose their flavour and turn into a bland, watery fruit, a complete waste of eating. While I’m still on the subject of refridgeration: my local Somerfield has potted herbs for sale, kept in the fridge section. And they have ‘best before’ dates on them. WHAT THE F*@%? Kerri – hi and welcome. That’s what I love about Italian food, take the most basic ingredients and make them into something fantastic…. John – the 1 we have in La Cucina?? we get that from an Italian supplier in Dublin who import it in. SQ do a good enough buffalo too. fixup – I have a tomato plant growing as we speak, it seems to be doing ok I think. It has a couple of yellow flowers, is that a good thing?? I have all the herbs in the garden and a pot of basil in the kitchen. Lidl seem to be good enough for veg and fruit, bought my little one grapes there last week and she ate the whole lot, they were really sweet, bought some from another supermarket today and she spit them out , no flavour at all! She’s a little foodie already:) We make our own bread in La Cucina so I’m a bit lazy to make it at home, must do it some day. Focaccia sounds good,I LOVE it, link didn’t work! Yellow flowers is a good thing, yes. The fruit will appear from the flowers. If your basil starts to flower though, that’s when you need to worry! the ingredients look fresh, easily prepared and above all, could be sourced at a very reasonable price from Lidl as suggested..fantastic!! a good idea for light lunch indeed, cheers! What time’s lunch? It all looks so good. I love mozzarella with tomatoes. I agree about finding tomatoes in Ireland – definitely vine tomatoes make a big difference. This year we’re growing our own and I’ve heard this makes the biggest difference of all. Recently we’ve started tearing the mozzarella balls into pieces rather than slicing and for some unknown reason it really does taste better! What a fantastic post! I love antipasti when we eat out but never thought to serve it at our bbq’s. Thanks for the inspiration!!! i think it’s the roughness of the surface when torn versus the smoothness of the surface when sliced. a rough surface has a greater surface area and can hold more flavour from sauces or dressings.